After we got back from our BVI sailing adventure, we jumped into the Christmas season head first. We were close to friends and family that we hadn’t seen in a while, so we took advantage of that and visited as many as possible! However, Austin’s birthday was coming up and we wanted to make sure to take a break from the business and celebrate. 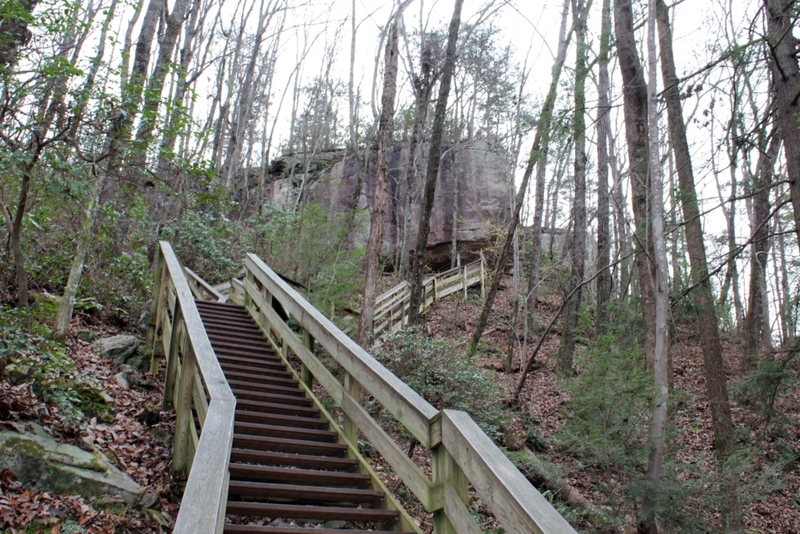 We decided on Cloudland Canyon State Park. 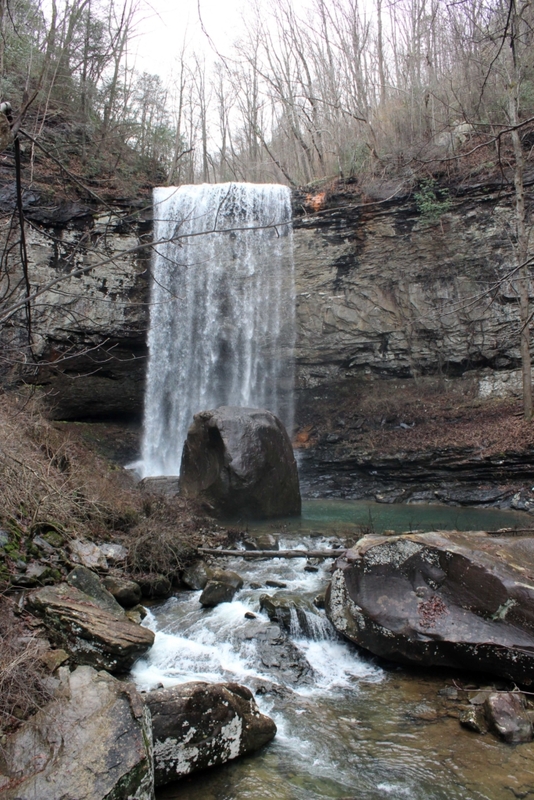 One of the reasons we picked it was the close proximity to Chattanooga, TN (Cloudland Canyon is about 30 minutes from Chattanooga). However, we liked the state park so much we didn’t even go in to Chattanooga! Austin and I are both shocked Cloudland Canyon isn’t more well known. We absolutely loved it. There are multiple options of places to stay – two campground areas, yurts, cabins and tent camping! There were also multiple hikes you can do right from the campground. We hiked around the canyon rim one day and down into the canyon the next. 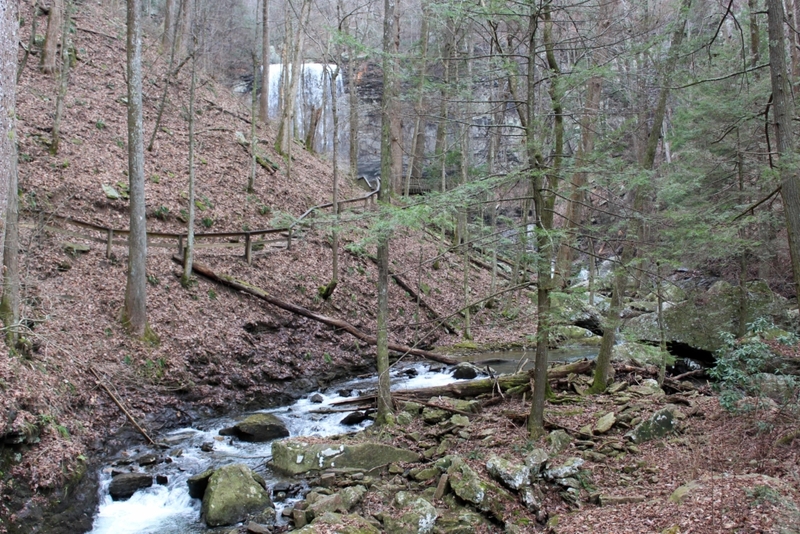 Once you are down in the canyon, there are two really awesome waterfalls. There are a lot of stairs getting down there (and back out), but the hike really wasn’t bad at all. At most campgrounds, they sell firewood at the camp store. It is ridiculously expensive and kiln dried so it lasts all of about 20 minutes. However, at Cloudland Canyon they had a guy that would deliver as much as you wanted right to your site. This was really great – we were able to get firewood for the week at a decent price. 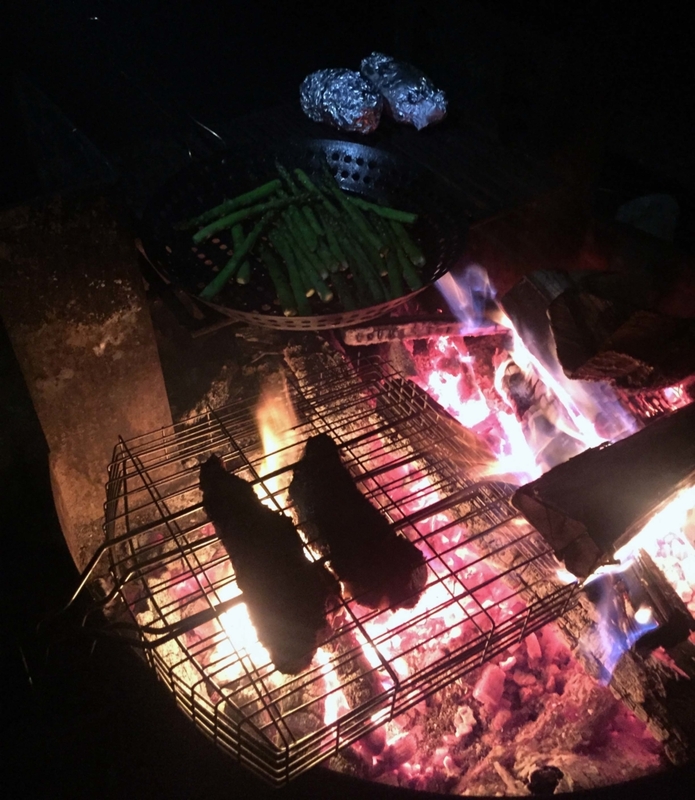 Our nightly fires were one of the highlights – Austin’s entire birthday dinner was cooked over a fire! Steak and lobster over the fire! 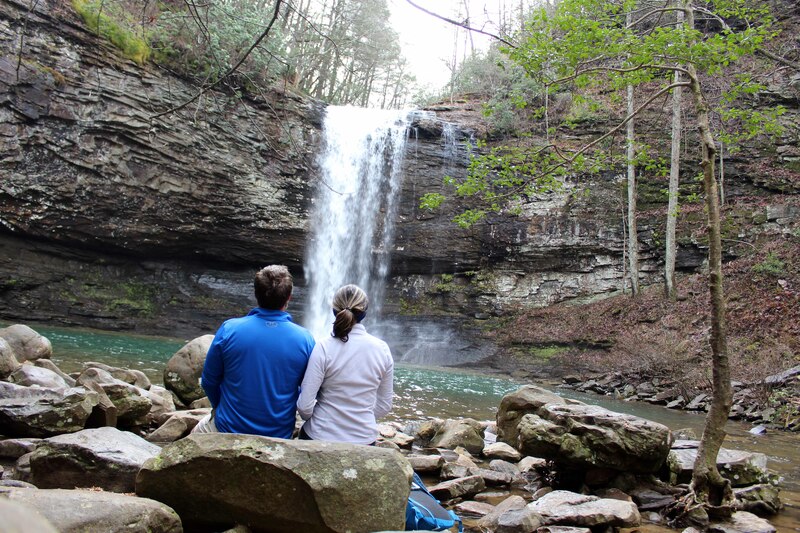 We really enjoyed our time at Cloudland Canyon and if we are ever in the area we will definitely stay again!